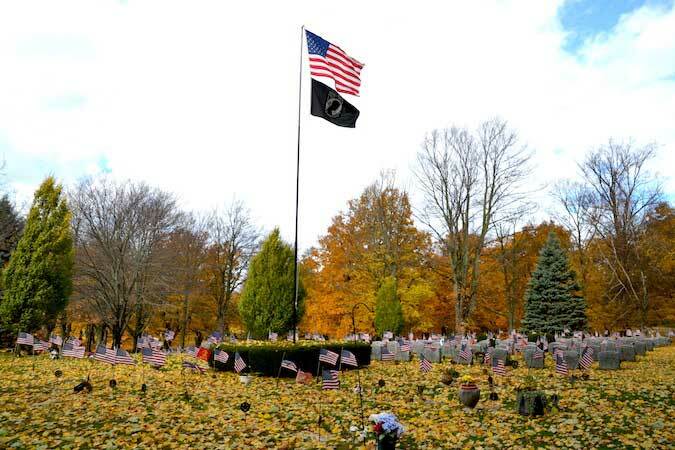 Photo by Tom Rivers: The Veterans Section at Mount Albion Cemetery is shown on Tuesday. ALBION – Veterans Day will be observed on Sunday with several events, including a new 5K in Medina that is a benefit for the Warrior House, which has a hunting treating for wounded veterans and their families. The “Operation Honor” 5K starts at 11 a.m. at the Junior Wilson Sportsmen’s Club on 3875 Bates Rd. There is a $25 entry fee and participants can register right up until the start of the race. Organizers will be there at 9 a.m. to take registrations. So far, 35 people have signed up, said Jennifer Thom, one of the organizers. Click here for the race’s Facebook page. Members of the Medina Honor Guard will continue a Veterans Day recognition that has been going on for many years. The Honor Guard will start at 8 a.,. to go to the cemeteries in the Medina area for 21-gun salute in honor of the veterans who are buried at each cemetery. 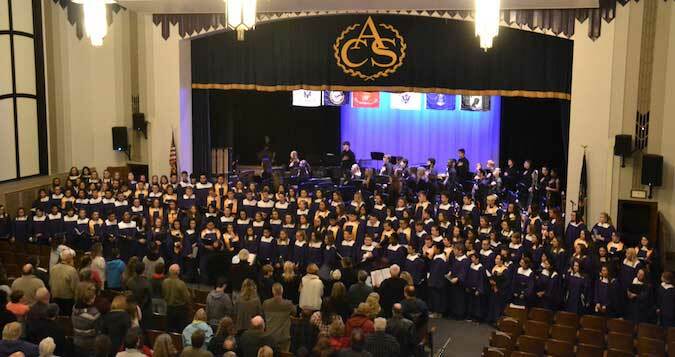 The Albion High School Chorus, which has about 150 members, sings the “Star Spangled Banner” to start a Veterans Day concert on Thursday. In Albion, the Elks Lodge will hold a veterans breakfast from 10 a.m. to noon on Sunday. The breakfast is free for veterans. There is a charge for others. The First Presbyterian Church of Albion will hold a blessing of veterans, and also for first responders from 11 a.m. to 1 p.m. That church is located at the Courthouse Square at 29 East State St. In Holley, the American Legion will host a ceremony at 11 a.m. Sunday. In Medina, the American Legion will have a free breakfast for veterans from 8:30 to 11 a.m. and the VFW will serve lunch for veterans. 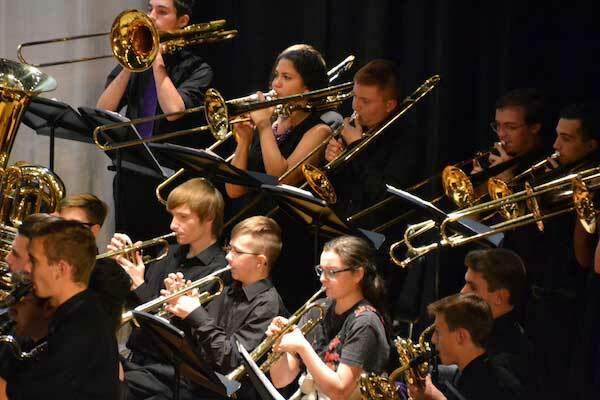 The high school band performed three songs during the concert and joined the chorus for “From Sea to Shining Sea” during the concert at the Middle School Auditorium.